Queens, NY Naftali Credit Partners, a subsidiary of Naftali Group, has closed on a $65 million construction loan for 107-02 Queens Blvd. 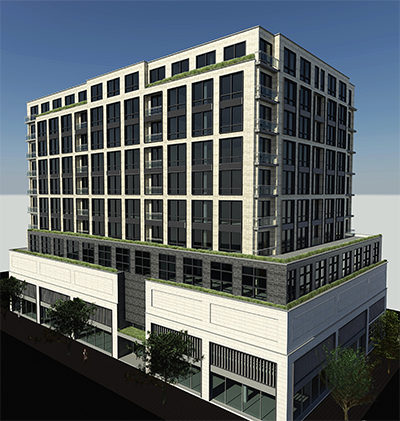 The offering for the 10-story, 74-unit condominium project in Forest Hills is the second by Naftali Credit Partners. The building is designed by the architectural firm of Jarmel Kizel Architecture and Engineering and features a modern interpretation on neo-classical architecture that will complement the surrounding area. Amenities for 107-02 Queens Blvd. will include a parking garage, fitness center, playroom and rooftop terrace. The building will also include over 25,000 s/f of retail space, a portion of which is pre-leased. Naftali Credit Partners underwrote and provided terms on the full financing request, offering a full stack solution to the borrower while also helping source CIT Bank as the senior mortgage lender. The sponsor for this transaction is a partnership between RJ Capital Holdings, headed by Rudy Abramov, and RB Realty Capital, headed by Avi Matatov. Construction is set to begin in March. 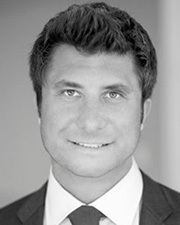 Morris Betesh of Meridian Capital arranged the financing. Located a half a block from the Forest Hills 71st Ave. subway station, the building’s sought-after location and amenity offering provides a rare opportunity for buyers to live in one of the borough’s fastest growing neighborhoods. Forest Hills is in close proximity to an abundance of shopping and dining options, and is also a short commute to Midtown Manhattan via several subway lines. Naftali Credit Partners (NCP), a subsidiary of Naftali Group, is a high-yield debt fund focused on originating mezzanine loans on transitional real estate assets. Currently investing out of its newly established fund vehicle, NCP lends on projects requiring flexible capital in illiquid segments of the market that traditional banks are less likely to finance due to increased regulation, transaction complexity or execution requirements that are better suited for an integrated real estate firm. NCP’s goal is to provide borrowers with a seamless and competitive execution while providing its investors with superior risk-adjusted returns and significant downside principal protection.